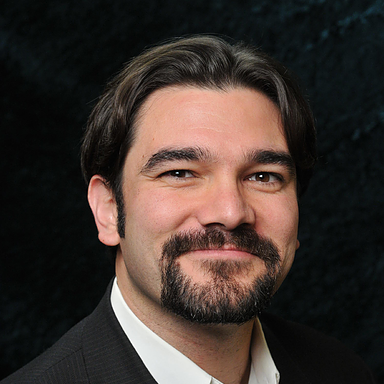 Scott Skiba is Executive Artistic Director of Cleveland Opera Theater where he has directed: Madama Butterfly, Le nozze di Figaro, La Bohème, Tosca, La Rondine, Gianni Schicchi, Il Tabarro, and Pagliacci. Recent engagements include: Macbeth (Opera Tampa), The Student Prince (Opera Grand Rapids), Carmen (Opera Western Reserve), Suor Angelica and La bohème (Mobile Opera), Il Barbiere di Siviglia (Natchez Festival of Music), and Don Giovanni (Hawaii Performing Arts Festival). Upcoming directing engagements include: Roméo et Juliette (Pensacola Opera), Il Barbiere di Siviglia (Cleveland Opera Theater), Guest Stage Director (University of Tennessee Knoxville), and The Rake’s Progress (Baldwin Wallace Conservatory). Alternative-venue work includes Sweets By Kate (Marble City Opera) performed in Sugar Mama’s Bakery in Downtown Knoxville; and The New Opera Project world premiere of Six Micro-Operas in collaboration with Interlochen Arts Academy, Parallel 45 Theatre Company and Inside Out Gallery in Traverse City, Michigan. Scott is Director of Opera Studies for the Baldwin Wallace Conservatory of Music whose spring 2017 production of Dialogues of the Carmelites won first place in the National Opera Association Collegiate Opera Competition. He has guest-directed productions for Oberlin Conservatory, and The Interlochen Opera Theater, and Movement and Acting instructor for the Cornish American Song Institute.